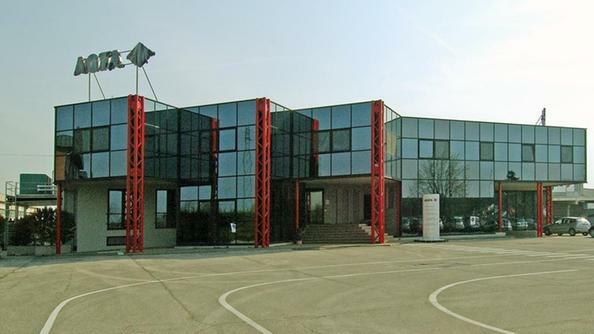 Mortsel / Belgium, Agfa Graphics announced today; October, 11, 2016 that it plans to close down its factory in Vallese, Italy, one of its seven printing plate manufacturing sites worldwide. This smaller facility produces lithographic aluminum printing plates for offset presses. For several years, these product lines have been facing a weaker market demand, primarily in Europe. “This decision is part of our global streamlining plan to reduce our manufacturing capacity and to improve the cost structure of our printing plate business. This is necessary to remain the leading company in an extremely competitive prepress business amid global economic uncertainty,” says Stefaan Vanhooren, President of Agfa Graphics. After having considered alternative options, management has informed all employees about its intention to close the Vallese facility, impacting 120 employee positions. “We will soon start up the information and consultation process with employee representatives and we are committed to a constructive dialog in order to mitigate the social impact as well as possible,” says Stefaan Vanhooren. The Agfa-Gevaert Group’s headquarters and parent company are located in Mortsel, Belgium. The Group’s operational activities are divided in three independent business groups, Agfa Graphics, Agfa HealthCare and Agfa Specialty Products. All business groups have strong market positions, well-defined strategies and full responsibilities, authority and accountability. The Agfa-Gevaert Group has production facilities around the world, with the largest production and research centers in Belgium, the United States, Canada, Germany, France, China and Brazil. The company is commercially active worldwide through wholly owned sales organizations in more than 40 countries. In countries where the company does not have its own sales organization, the market is served by a network of agents and representatives. In 2015, the Agfa-Gevaert Group achieved a turnover of 2,646 million Euro.